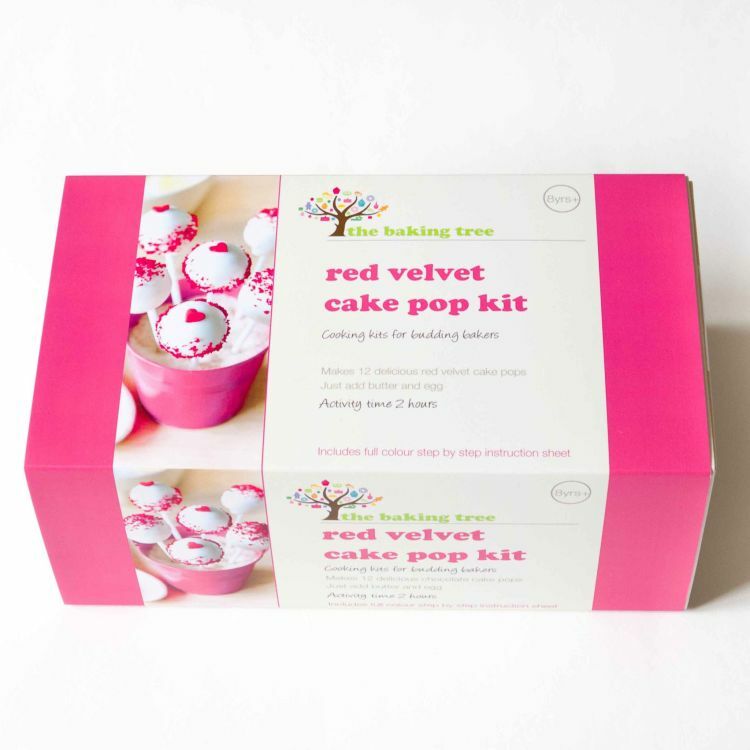 With this kit you can make delicious Red Velvet cake pops - balls of yummy red velvet cake on a stick, coated in a thick white chocolate shell decorated with heart sprinkles and red velvet cake crumbs. 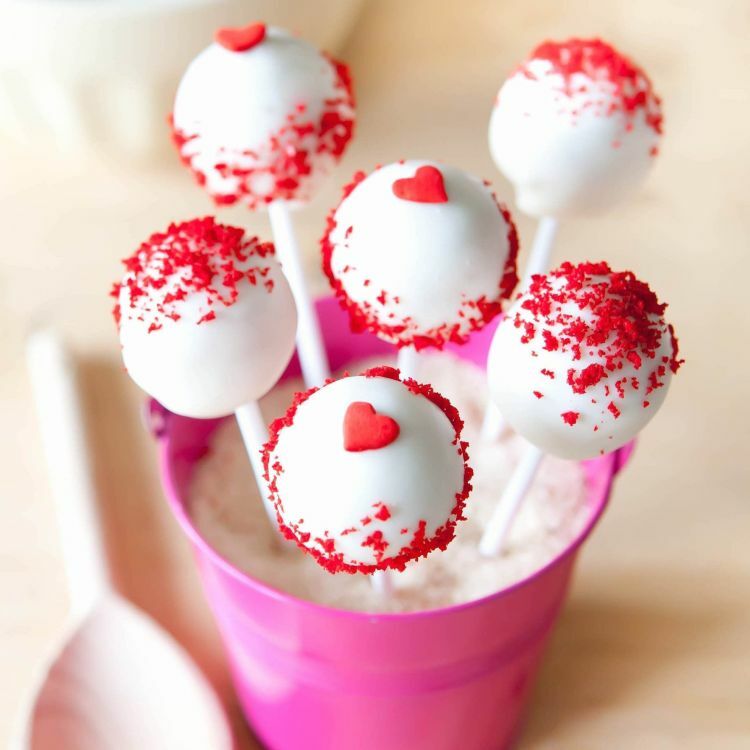 Everything you need (except just butter and egg) to make 12 red velvet cake pops. Stylishly packaged in a reusable and recyclable box. Please note sprinkles may vary slightly from those shown in the image. 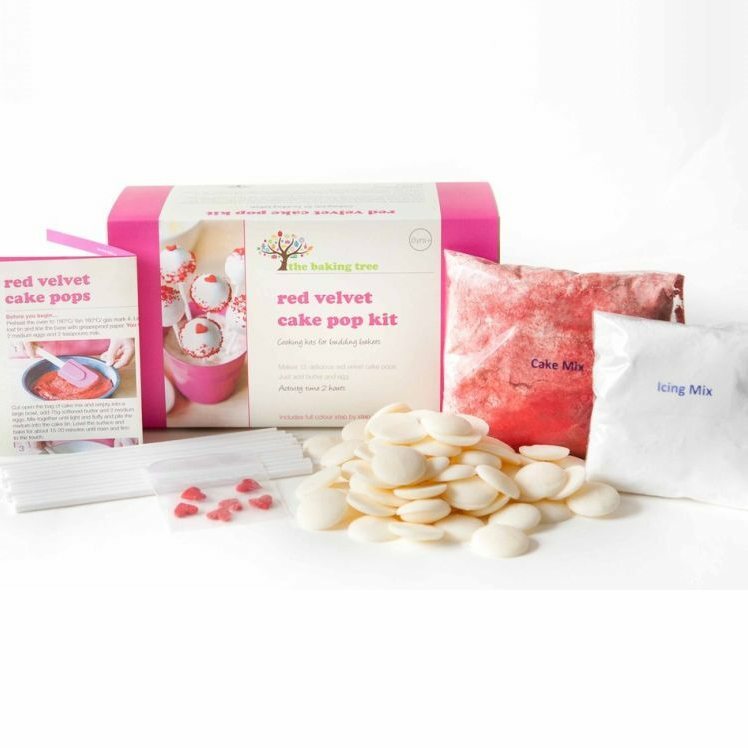 Self raising flour (wheat), Caster sugar, Powdered red food colouring, Icing sugar, Cocoa powder, Baking powder, White chocolate coating, Red heart decorations (which may contain food colouring).